Your gift message will appear here which you send to your reciever. 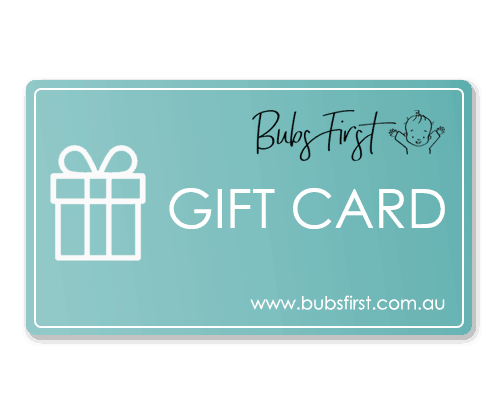 This electronic Gift Card is redeemable at www.bubsfirst.com.au only. Using your coupon code, you can purchase any item/s from our online store. This Gift Card may not be used at any brick and mortar store that carry Bubs First products. This Gift Card may not be exchanged for Cash. Valid for one (1) year from the date of issue.